This page presents songs and dance music collected and recorded by musicologist Bedros Alahaidoyan. 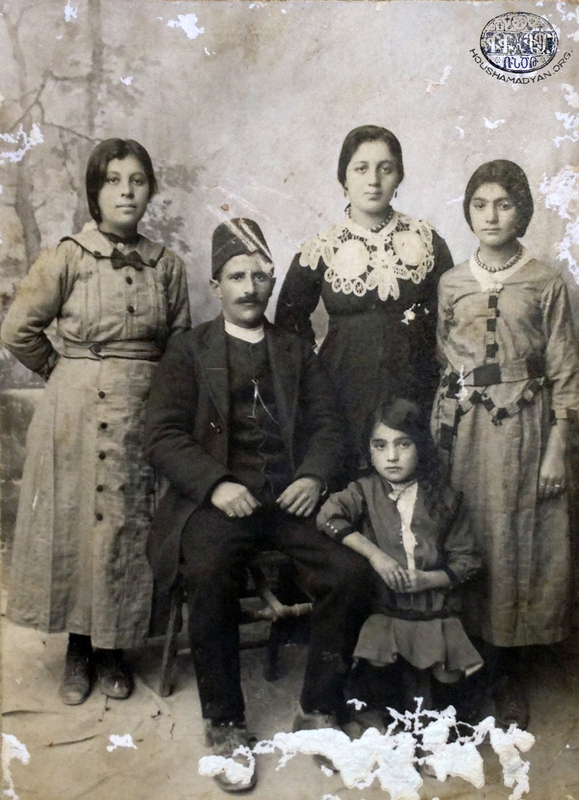 Beginning in the 1980s, Mr. Alahaidoyan traveled to cities and towns populated by Armenians throughout the Diaspora, in search for Genocide survivors from whom he collected rare songs and anecdotes of their native cities and villages. Editing of this page, as well as music engraving and digitization, provided by Dzovig Markarian, DMA. Translation: Simon Beugekian. Musical performer Mrs. Moushgin Markarian was born in Sivas. She learned the songs presented here from her sister, who died after being deported during the years of the Armenian Genocide. A group of craftsmen from Sivas, in the courtyard of the Anabad Monastery, during a celebration. The photograph also depicts a group of musicians. 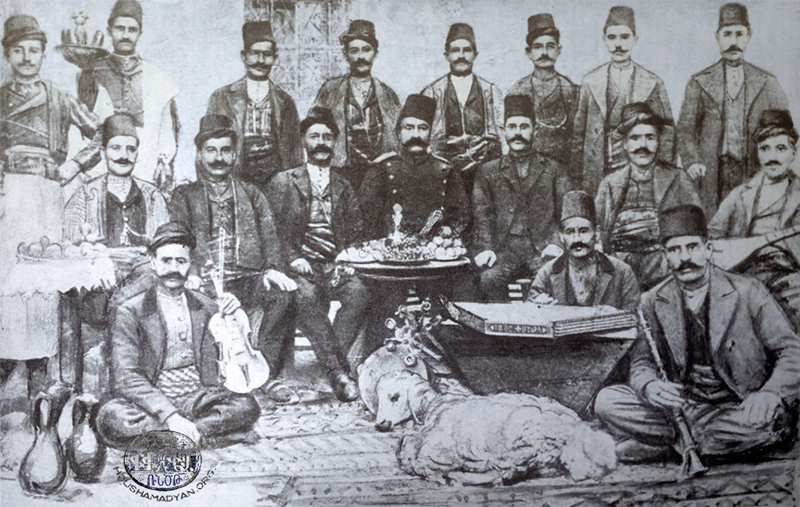 First row, sitting cross-legged, from left to right – Kemanji Drtad (holding a violin); an unknown qanoon player; Granatdji Hovsep (holding a clarinet or gırnata). Middle row, seated on chairs, left to right – Ghamsezents Khachig; Tarpin Harout; Chadrdjian (a renowned santur player, and a tinsmith by trade); Commissar Aram Effendi (wearing his military uniform and a fez); an unknown man; Zemperents Harout; Chyekhdji Vosgian (holding a saz). Third row, standing – the note accompanying the photograph provides only a few names, but we do not know the order in which the subjects are standing. The names provided are Hovhannes; Karnig Chadrdjian (drummer); Aram Chadrdjian (santur player); and Chamsezents Hovhannes (source: Arakel Badrig, Badmakirk Houshamadyan Sebastio yev Kavari Hayutyan, Volume B, New Jersey, Rokkir Printing House, 1983). Armenian women in Sivas, dressed in their wedding gowns (Source: Keghouni, Year A, Number 3, April 1, 1902, Mekhitarist Order Printing House, Venice). Mi ner mi lar aghchig! 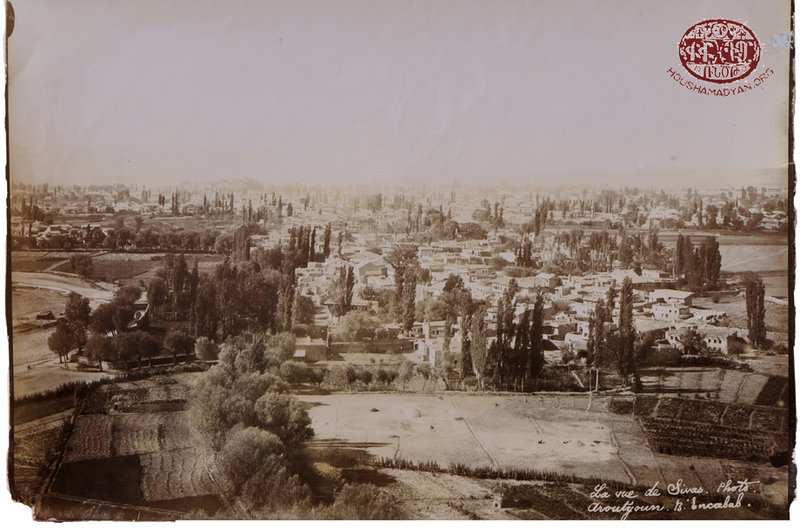 Sivas, 1913. The musical band consisting of Armenian students of the city’s American school. The band director was Nshan Bekhian, a teacher in the same school (Source: Arakel Badrig, Badmakirk Houshamadyan Sebastio yev Kavari Hayutyan, Volume B, New Jersey, Rokkir Printing House, 1983). 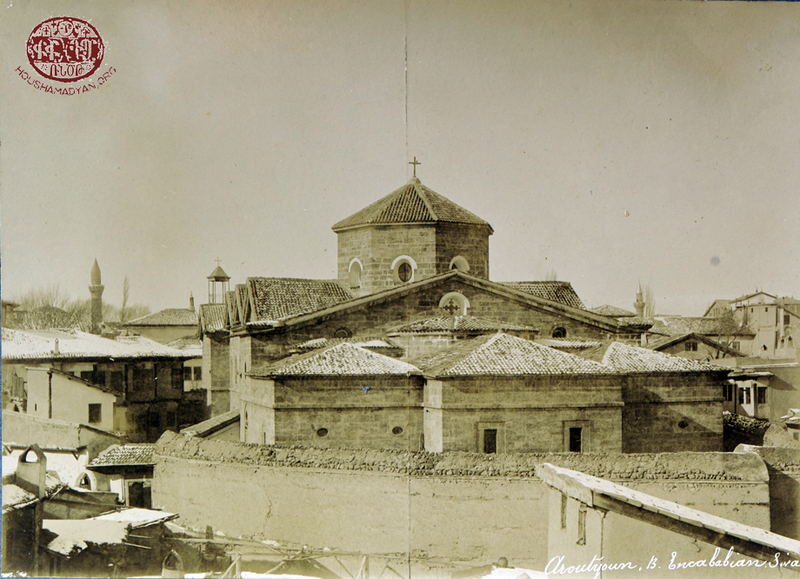 This song laments the events that transpired during the Armenian Genocide, which began in 1915. The lyrics describe the mass destruction, arrests, deportations, and massacres that befell the Armenian population of the Ottoman Empire. It is likely that Moushgin Markaryan inserted references to some of her own experiences during the Genocide into the song, or that the events described therein befell her own family. 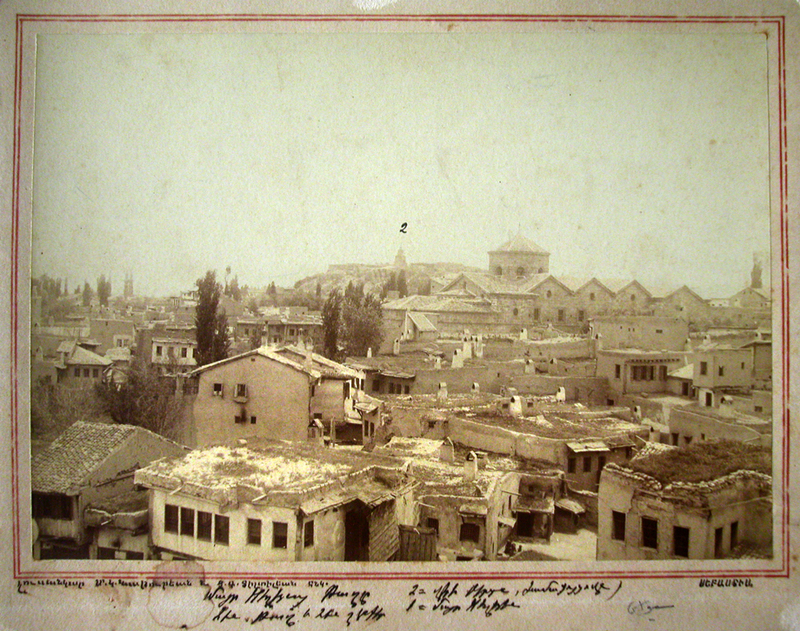 Sivas, 1909. 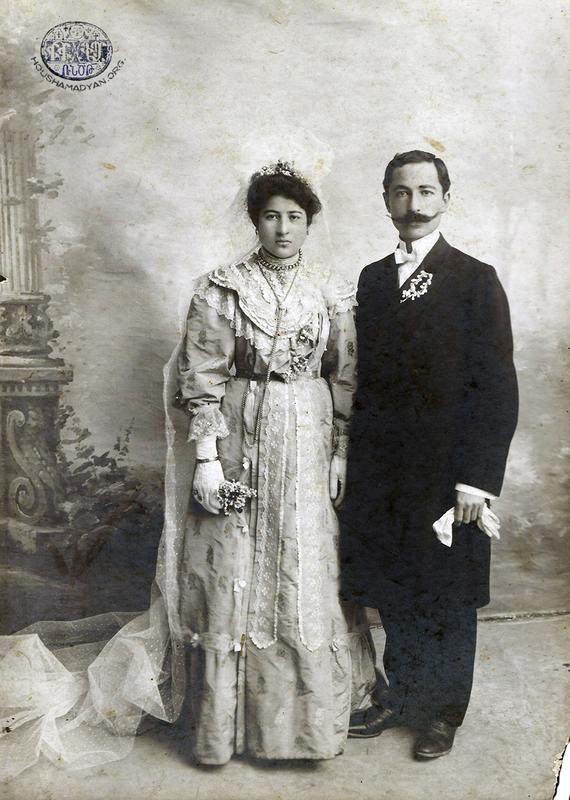 Wedding photograph of Dikranouhi and Mihran Shahinian. Photographer: Enkababian Brothers (Source: Avo Ghazal Collection, United States). 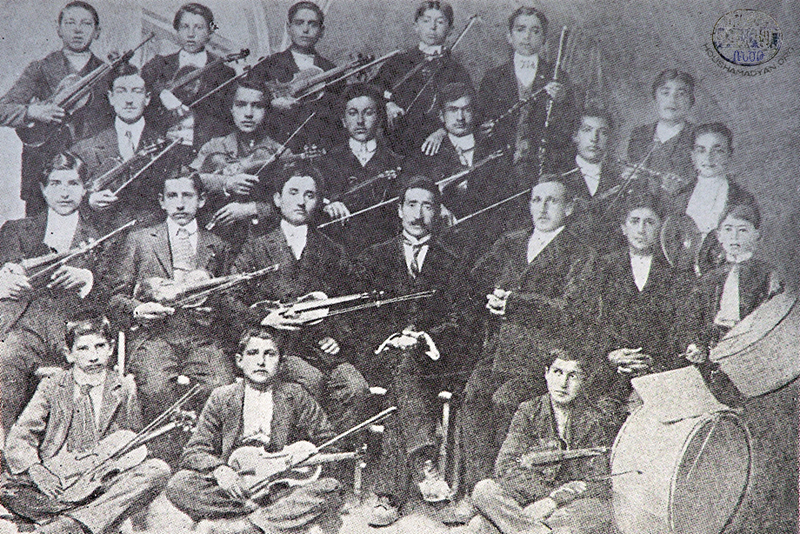 The musical band of Sivas' Aramian Armenian School. The band was founded in 1913. Seated on the chair, with a tie around his neck, and with his hand resting on his leg, is Mihran Isbirian, the schoolmaster. 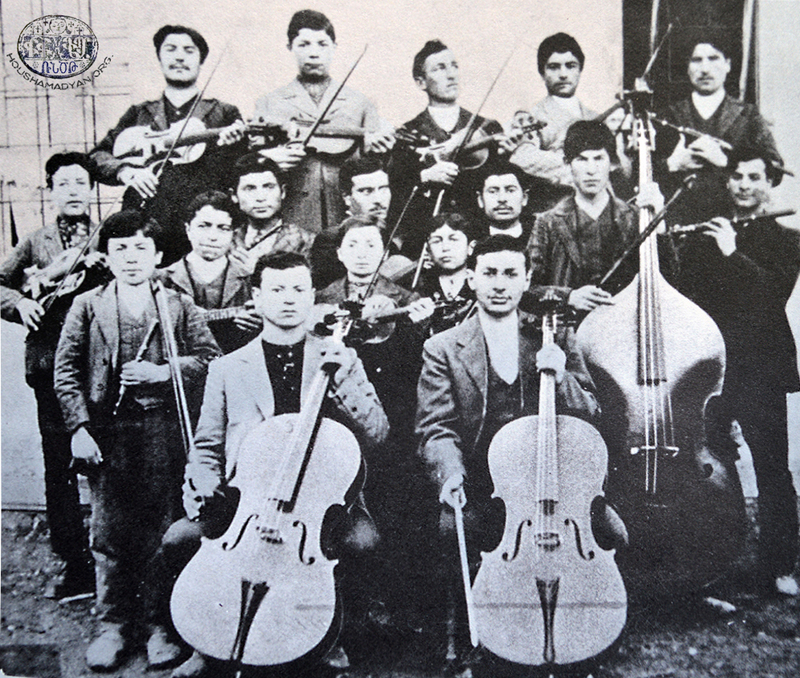 The band leader was H. Kordjian, who is probably seated to the right of M. Isbirian in the photograph (Source: Arakel Badrig, Badmakirk Houshamadyan Sebastio yev Kavari Hayutyan, Volume A, Beirut, Mshag Printing House, 1974). The preparation of the pages presenting the Bedros Alahaidoyan collection was made possible by Dr. Haig and Hilda Manjikian. 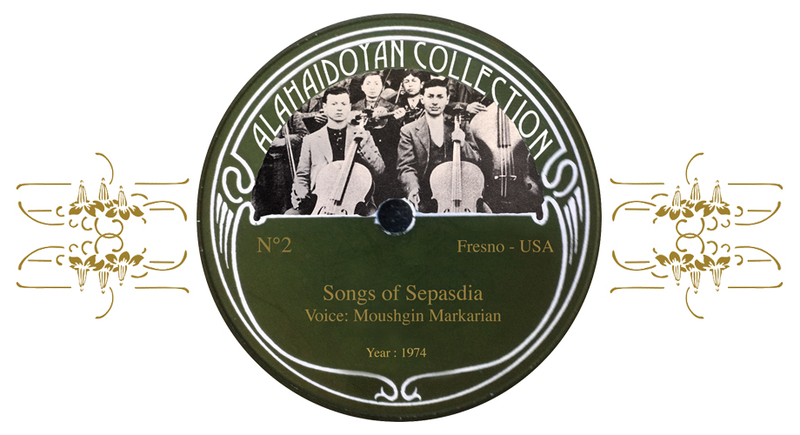 All songs were collected by Bedros Alahaidoyan and engraved by Dzovig Markarian.